Hills and trout streams everywhere. Not a mosquito in sight. * Just natural beauty and good people . . . and lots of fish. 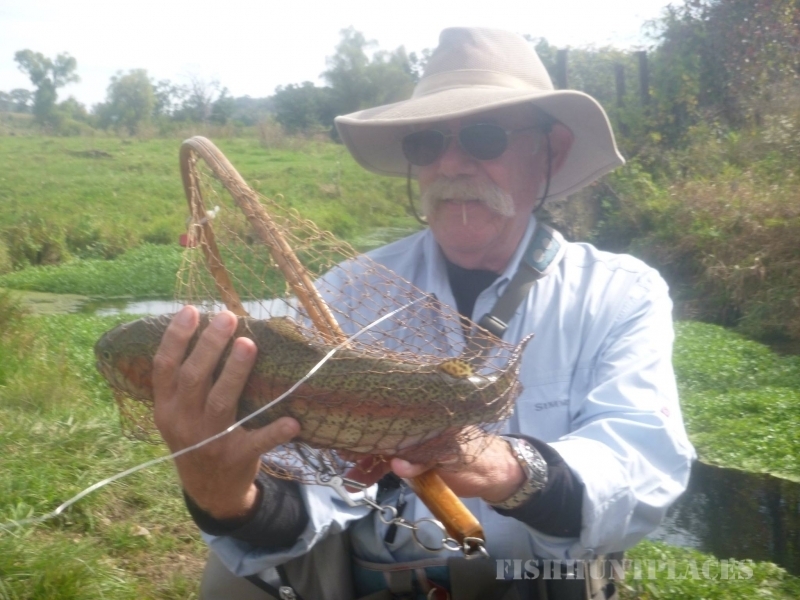 Here you’ll find Jim Romberg, fly-fishing guide extraordinaire. 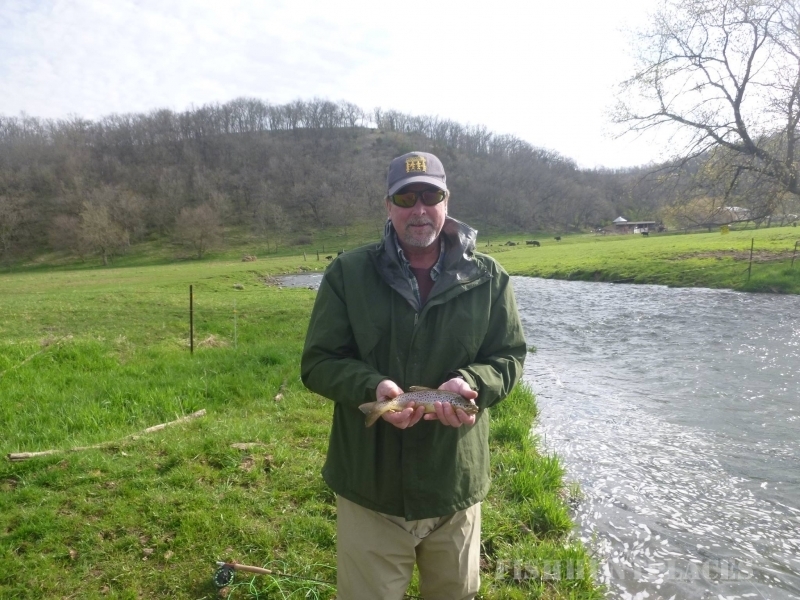 Jim has lived and fished in Driftless Wisconsin for more than 40 years. Don’t ask how old he is. He’s old enough to know every twist of every trout stream in the Driftless. 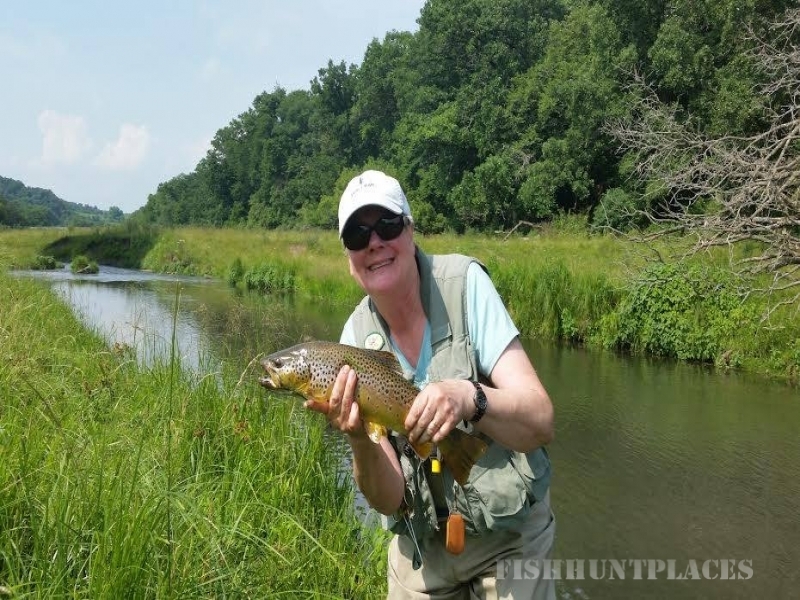 Jim runs an outfit called the Fly Fisherman’s Lair Guide Service, which takes anglers like you to the sweetest little trout streams this side of heaven. He also caters to executives and leadership teams who need to get outdoors to clear their heads. And what better way to do that than with a rod and net? Driftless Wisconsin, so named because the last glacier didn’t quite reach these parts, is filled with scenic hills and valleys. 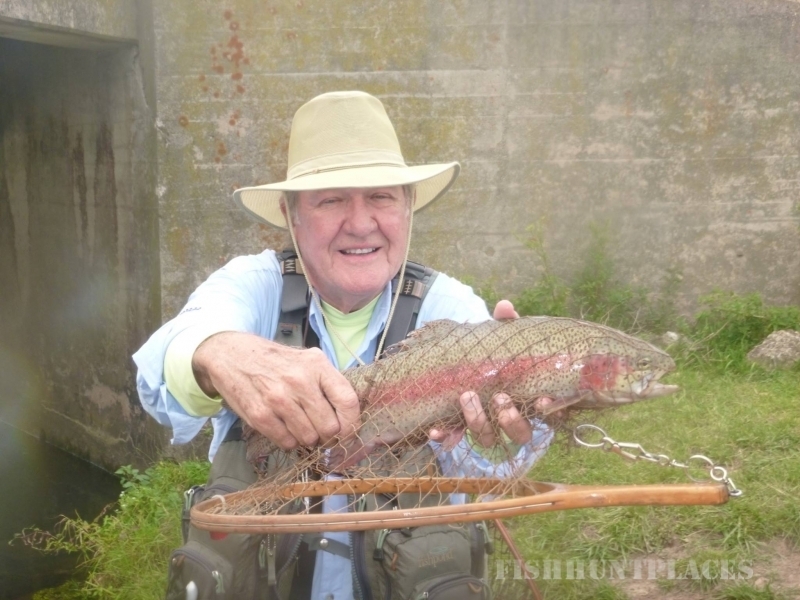 Almost every valley hereabouts has a stream or a tributary to a stream, and Mother Nature made sure to bless them all with trout — brook, brown, and rainbow. 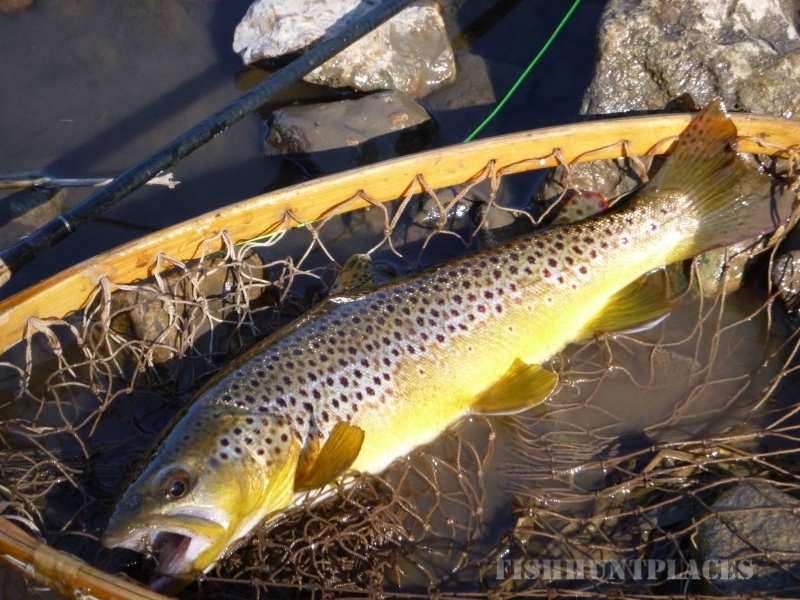 We have over twenty streams, and together they offer more than 140 miles of spring-fed creeks brimming with fish. Our insect hatches are some of the best, too. We’re a little over four hours by car from Minneapolis or Chicago, an hour less from Milwaukee, and just a smidgen north of Illinois and east of the mighty Mississippi.